There’s a fierce war between the largest video streaming manufacturers, as each one is trying to get into people’s homes and take over their TVs. Google took the opportunity to release a cheap streaming media player with which users can have access to popular services such as Netflix, Amazon Prime Instant Video, YouTube etc., or stream their digital content from their mobile devices or computers to their big flat TVs. Recently, Google released a $15 ethernet adapter for it, while the Chromecast can be purchased from Amazon at a price of $30. 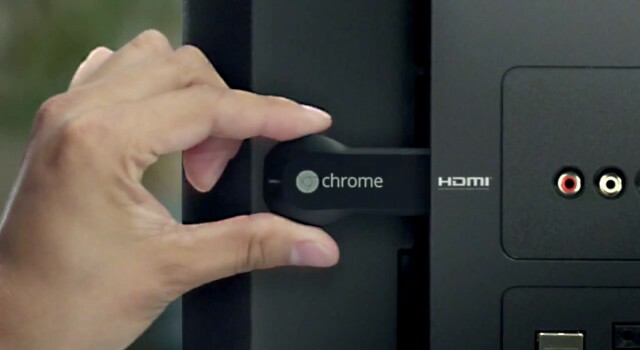 Chromecast is one of the cheapest gadgets, it can play an important role in our homes. This small media streaming adapter will turn your HDMI TV into an app-driven smart TV. You will stream content from your smartphone, tablet or even computer or watch your favorite services, as you’ll have a list of compatible applications that has increased in two years. Unfortunately, if you live in the UK, you are restricted from having access to a bunch of music applications such as Pandora, the only popular name we can give you is Spotify. But, the good news is that you can download all kinds of other compatible applications from the Google Chrome Store, or if you’re using a computer and you’re playing a video on your browser, you can mirror the tab to your TV. However, this method doesn’t work flawlessly all the time, because when you’re streaming a video on your computer, using a browser, via the router, you’ll stream it back to your router, then once again to your TV, you’ll have heavy network traffic and your router might not handle it very well. Chromecast looks like a black memory stick with a big bulge at its base, it measures 72x35x12mm and it’s plugged into the HDMI input of your TV. However if it doesnt fit into the space of some HDMI ports, Google has released a HDMI extender cable for it. However, Chromecast isn’t powered through the HDMI port, so you’ll need to plug in a five-foot micro-USB-to-USB cable into the box and the power adapter is plugged into the power outlet. Inside, the streamer hides a Marvell 88DE3005 (Armada 1500-mini) chipset with codecs for decoding video compression formats such as VP8 and H.264. It houses 512MB of Micron DDR3L RAM and 2GB of internal memory and it connects through 802.11b/g/n (2.4 GHz). After plugging in the device to the back of the TV, you can use your mobile device or computer to visit Google’s Chromecast “getting started” website, here you’ll download and install the required software, then you can connect Chromecast to your WiFi network. If you’re using an iPhone or other iDevice, Chromecast will create a new WiFi network so you’ll need to guide it to connect to the main network, which is not the case for Android devices. But, after setting up Chromecast, it will “see” your smartphone/tablet/laptop and it will cast content to it. Since the device is already plugged into the back of your TV, you will be able to play media on the screen. If nothing plays on your mobile device/computer, you will see only a screensaver. To cast content, you will see a Cast button into the top right side of the compatible applications, in the right corner, it looks like a WiFi symbol. When clicking on it, you’ll see a list of Chromecast devices connected to the same network, so you’ll select the device with the audio or video content that will be casted to your TV. In that moment, the phone or tablet becomes the remote control. There are situations when the Chromecast doesn’t pick up quickly the video content that you’re sending to it, but when you start watching the video and want to do something else, you will be able to exit the application regardless of whether you’re using a mobile or a desktop device. 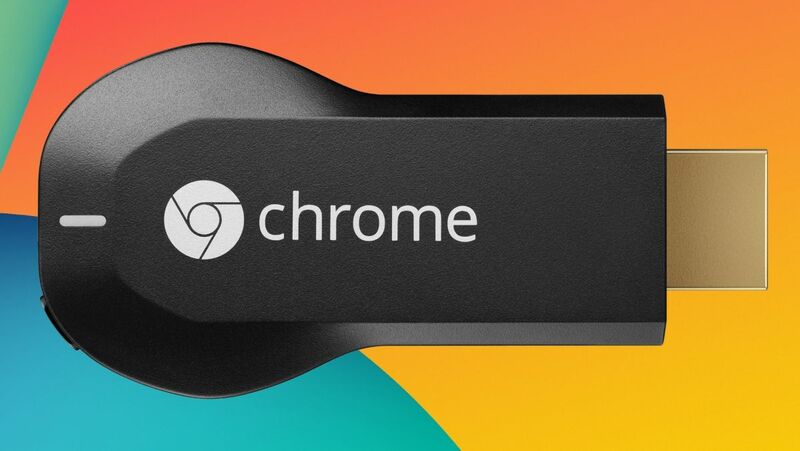 If you’re using Internet Explorer, Firefox, Opera or Safari browsers, you won’t be able to cast content, because Chromecast works only with Chrome, even if Chromecast API is open for developing applications for it. Another downside of Chromecast is that it doesn’t come with a dedicated remote, so if your phone or laptop runs out of battery or it’s in a room and can’t connect to the WiFi network, you won’t be able to cast anything. There are some problems with the photo-casting application, which “forgets” Chromecast after each use and which needs to be restarted, but these bugs will be fixed by the developers soon enough. Google is jealous of Apple’s AirPlay protocol stack/suite and most likely, the developers are thinking about bringing an equivalent to the big-screen gaming, so that the users will be able to set up cross-platform.